What colour is there for the interior? I have only ever seen one GT-R that was not a black interior. I'd like to see more choice! I saw the egoist interior at the ring back in 2012 I think was horrendous! Looks like a padded cell! If you specify the Prestige grade there are four additional interior leather colours: Black, Tan, Ivory or Red. On the GT50 you can specify whatever colours, interior and exterior, you want. On the Pure grade seats are Black. On the Recaro grade, the seats are Black and Red. 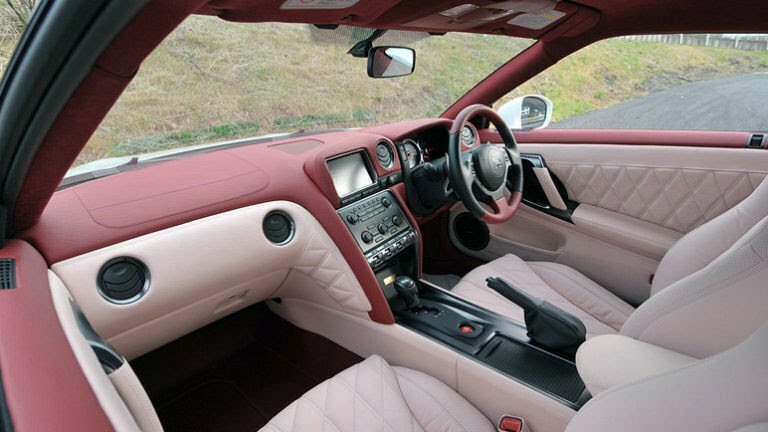 It's surprising that not more people have chosen a different coloured interior. When I was looking at GTR's over the space of half a year, I can't remember seeing anything other than black or black/red on the Recaro. I loved my 350Z that had the Alezan interior, I much prefer a slightly more colourful interior but uhh, not quite like the egoist above. I think the Prestige is a £3k option so that could be off-putting. I've had both the Recaros (twice) and the Pure (twice). You need the Recaros if you are keen on tracking but the Pure are better for touring ... although the Prestige might be even better. All imho. 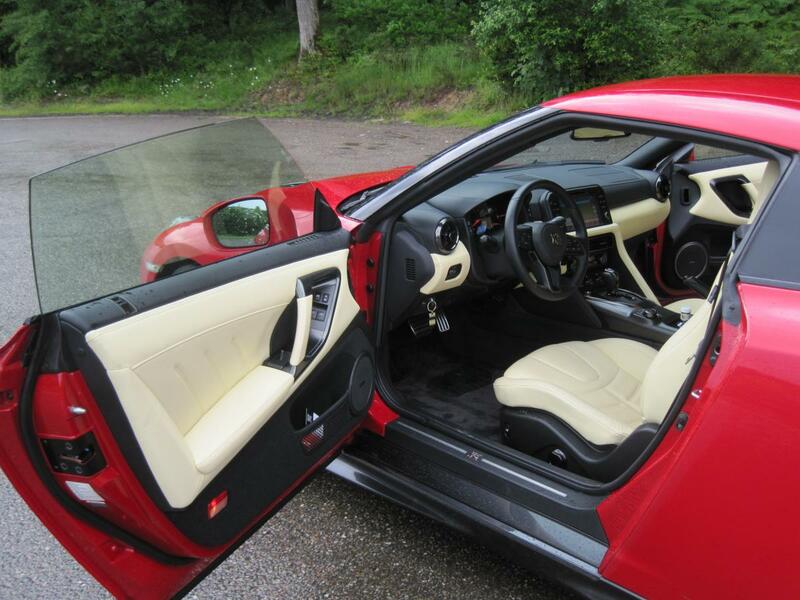 I did go and look at a Red GT-R with "Light Interior", when I got there it was yellow! Now there's a good reason for the majority being black - yoikes! All the other colours apart from black look like the sort of interior someone like Paul Raymond would have. And I've always thought that the interior is a long way down on the list of priorities when you buy a GT-R. Decent fit and finish - yes. Decent textures - I suppose so, but I'm not going to get hung up on the lack of soft-touch plastic. Colours, however, should be doing their best not to distract my eyes from the road. Close but the whole interior was "yellow" ivory including the dash console the lot! I just cant sit in darkness, I'm way past my grumpy teenage years wanting to paint everything black! I just about manage in the Roadster as the roof comes down as often as possible, my Macan has a light interior, Lila's BMW's both have cream interiors,. Once you go "non black" you don't go back! It was a couple of years ago now, I posted on here asking if anybody knew about it. Just read the thread and now remember posting at the time. Shame the pic is no longer available. I think the Prestige interiors changed a lot when the MY17 was launched (which is where my pic came from - that was definitely not yellow...). Of course colour choice is a very personal thing and I loved the combi of the one I drove. However, that darker red (vermilion) that I had with Recaros annoyed the hell out of me because the shade of red in the seats and stitching clashed with the exterior colour. Similarly, I hate the MY17 launch cars in orange (or whatever i's called) with the Tan seats for exactly the same reason. I don't know. To further corrupt an old saying, I've done non-black and am in no rush to go back. And, alas no longer being teenagers, we surely don't spend our nights sitting stationary in our cars in car parks needing a bit of brightness. The other bit of advice I'd give to a grumpy teenager in a black room is look out of the window.